This course starts from the Basics so if you are an expert you may already know first few sections. Do take a preview before joining. Focus of the course is Ethereum hence it was decided to use HTML DOM JS API instead of Angular/JQuery & other JS libraries. What students should know (Pre-requisites) ? This course takes the approach of “Learn by doing”. Students are encouraged to try out all aspects of the technologies on their own after each lecture. Almost all of the concepts discussed in the lectures are shown in action by way code samples etc. The demo code used in the lectures is available for download from GitHub so that students can change the code to try out new things. Multiple quizzes in each section will validate student’s knowledge. Coding exercises will help them understand the concepts better & gain confidence. Students will download the source code for a fully built DAPP - this DAPP shows/teaches all of the web3 API that students need to learn. Code walk through is covered in the lectures. Demand for Blockchain technologists is going up as multiple enterprises (& startups) are looking to achieve efficiencies or/and create new business models enabled by the Blockchain technologies. 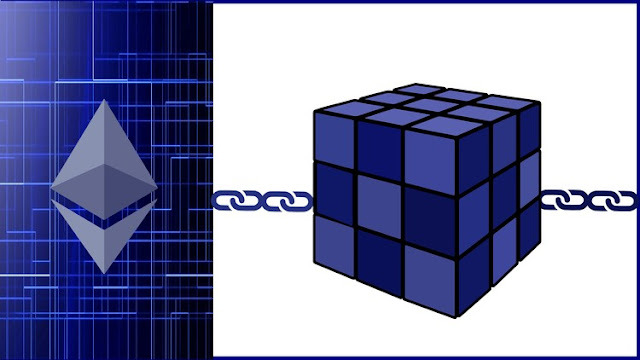 Ethereum is the leading Blockchain platform and is accepted as the most mature platform for Blockchain applications. Ethereum technology is quite complex but the approach taken in this course "Learn by doing" will accelerate the learning process and make it easy for the students to understand the concepts. Please refer to "Introduction to Ethereum" below for a high level overview of Ethereum. If we are to believe the pundits, Blockchain will change the way software is built for business transactions. Almost all industries are looking to leverage this new technology to gain efficiencies and/or to create new business models & opportunities. Organizations are looking for talent in this new technology and facing difficulty in finding developers/architects who can design and develop Blockchain applications. Taking this course will prepare you to innovate using this cutting edge technology that promises to change the world around us. It will prepare you for the future. The digital cryptocurrency Bitcoin was the first Blockchain application. Success of Bitcoin led to the creation of the Ethereum platform. Whereas Bitcoin is a “Blockchain Application”, Ethereum is a “Blockchain Platform”. Ethereum not only supports a distributed ledger but it also supports Smart Contracts. Smart Contracts are computer programs that has the code that implements contractual agreements (rules) between two or more parties. The rules coded in the smart contract are triggered by events in the physical world and automatically carry out some predefined action(s). All of this happens without any intermediary, web servers or back end databases. Let me give you an example - Ebay is the intermediary between the buyer and seller. EBay makes $ every time a buyer buys an item from the seller. In a decentralized bidding application a smart contract can replace EBay the intermediary. The rule coded in the contract will be that when buyer will pay, the seller will ship the item to the buyer. The funds will be held in the smart contract till buyer confirms the receiving of the goods. Once the buyer confirms the receipt of goods the funds will be released to the seller. Smart Contracts are executed on the Ethereum network nodes as opposed to a centralized server infrastructure owned by an intermediary (e.g., Ebay). Nodes are Ethereum client processes running on the network participant’s computer. Anyone can write Ethereum decentralized application, so in other words you can create your own Bitcoin like Cryptocurrency or Ebay like application on a public Ethereum network. Please note that all applications are not a good candidate for Blockchain technology for example building a static website on Blockchain technology is not the right use of the technology.